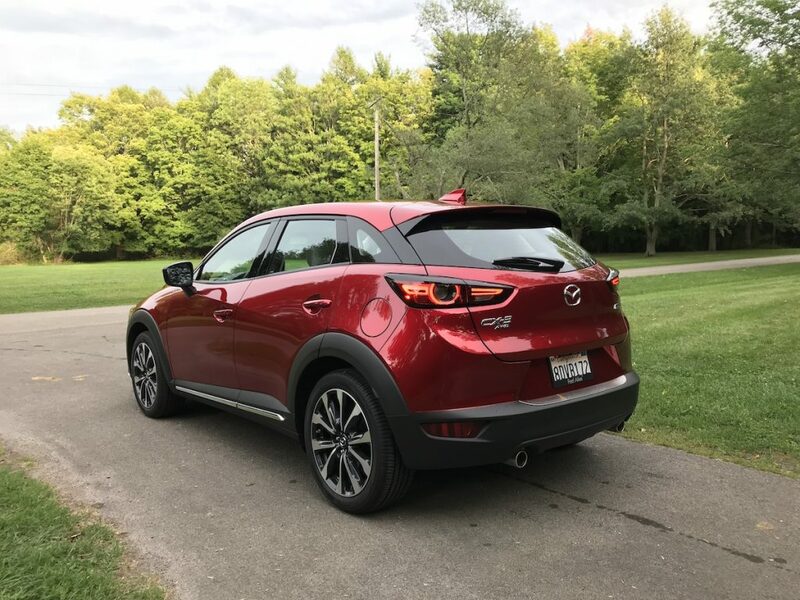 No adventure is too big or too small for Mazda CX-3. 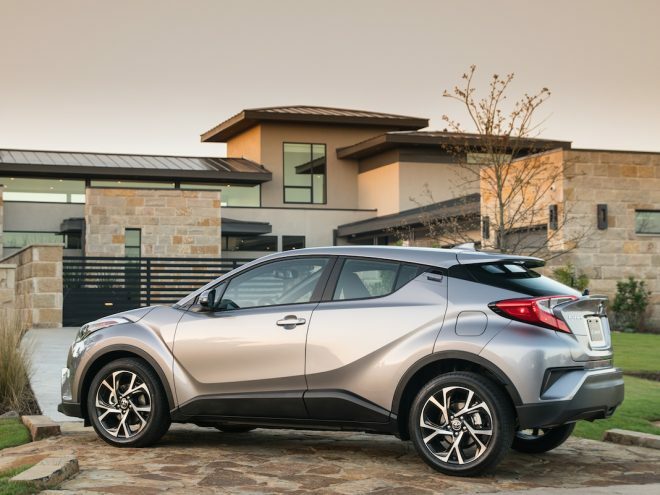 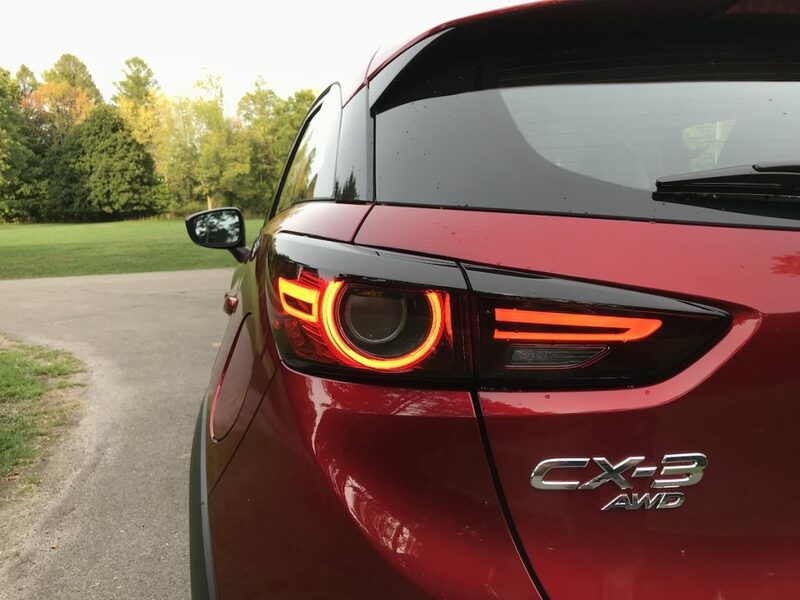 The CX-3 has exceeded expectations by providing features and design that exceed exceptions for a subcompact crossover. 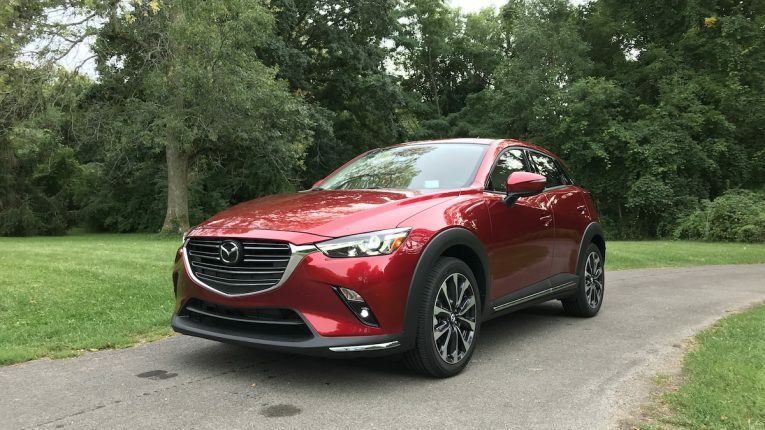 The updated 2019 Mazda CX-3 was introduced at the NY Auto Show in 2018 and shows how Mazda pushes for continuous improvement. 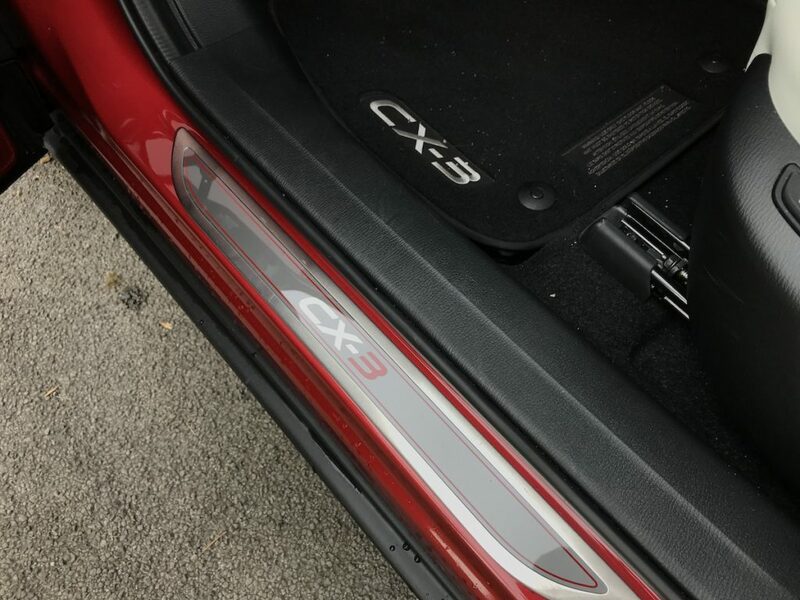 CX-3 has been retuned and refined to deliver a heightened feeling of elegance, driving performance and efficiency. 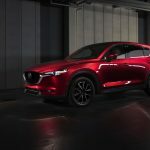 Mazda says CX-3 incorporates improved materials, sound insulation, newly available full-leather seating surfaces and a standard electronic parking brake. 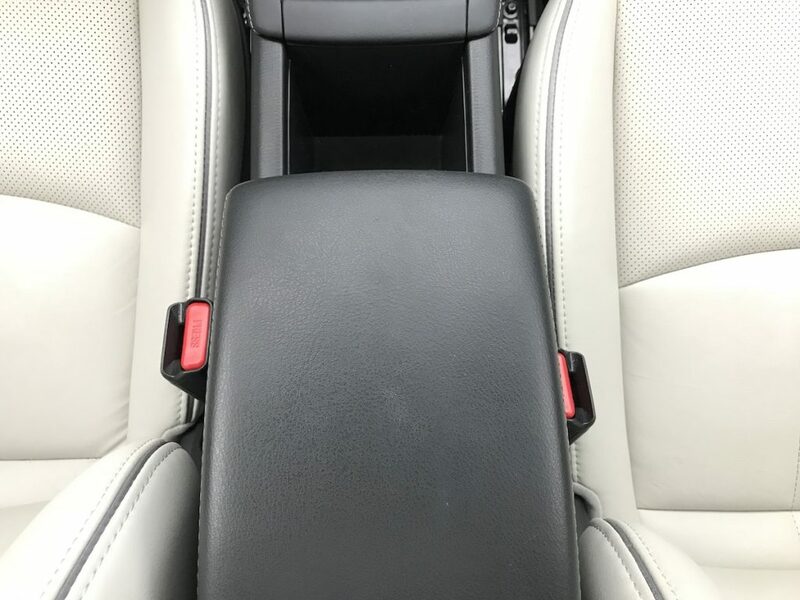 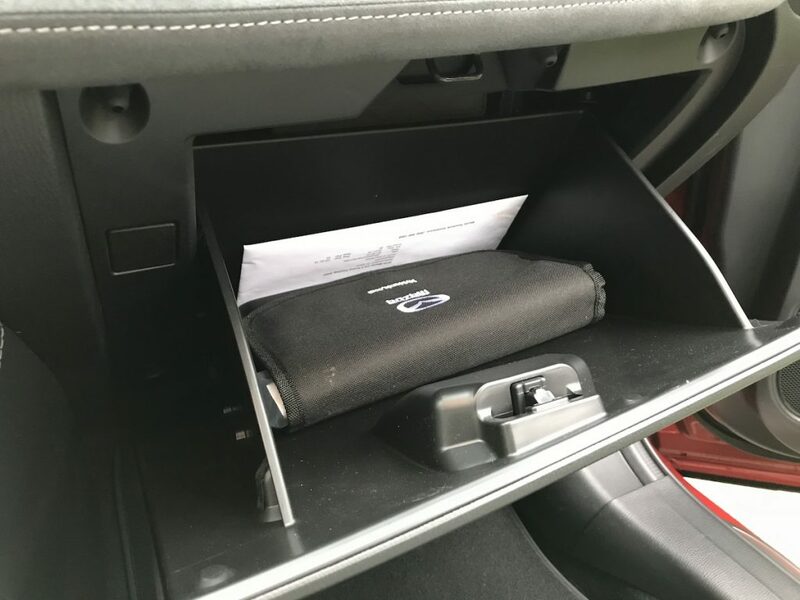 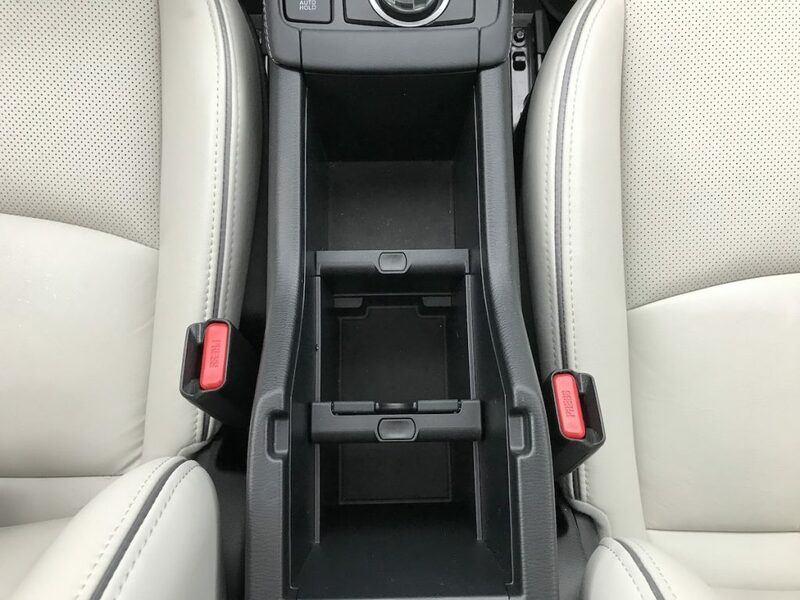 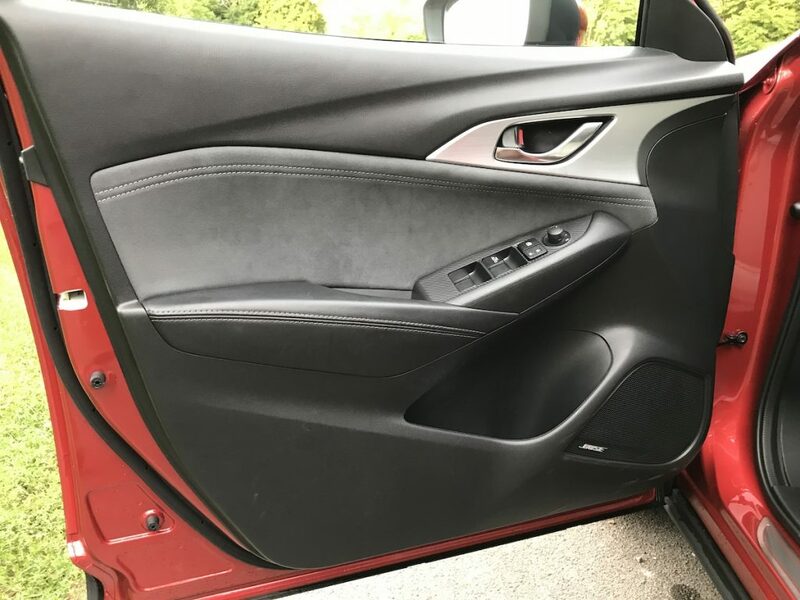 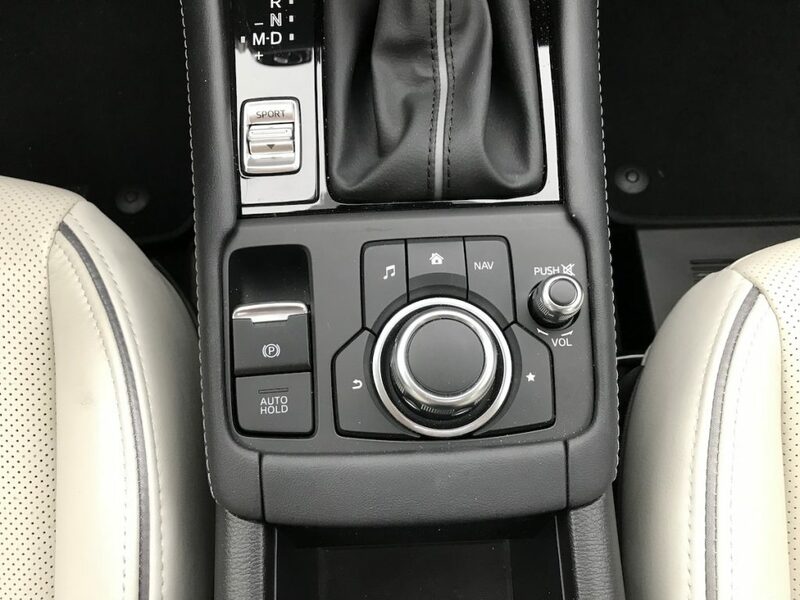 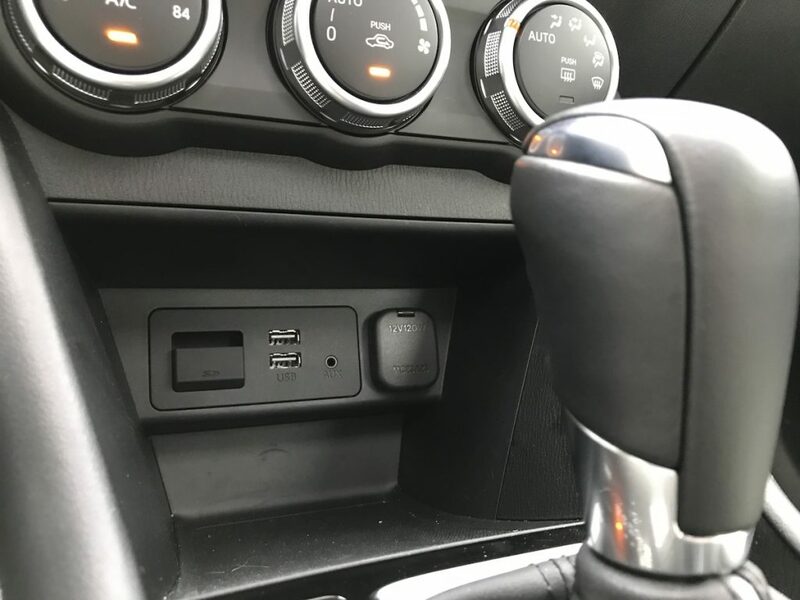 As a result of adopting the electronic parking brake, CX-3’s center console and center armrest have been fully redesigned to accommodate significantly greater storage space. 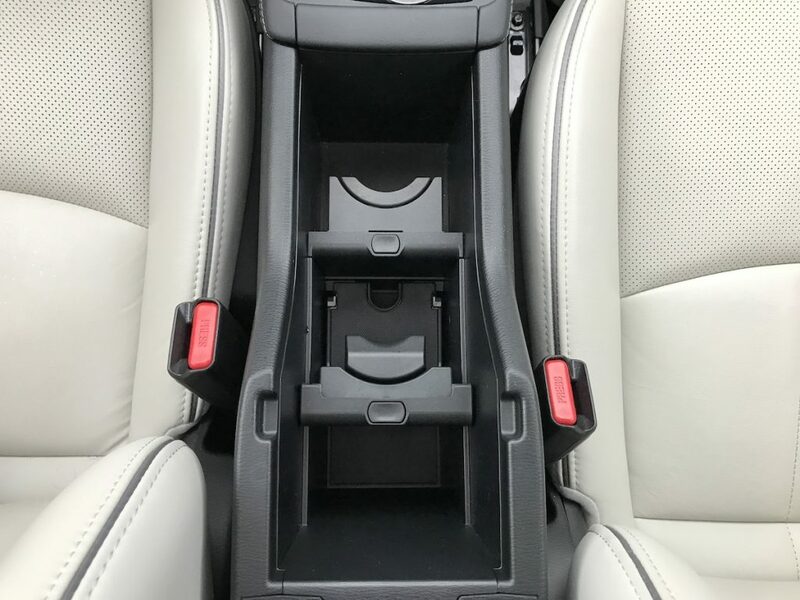 Other updates include fully redesigned front seats and new rear armrest with built-in cupholders. 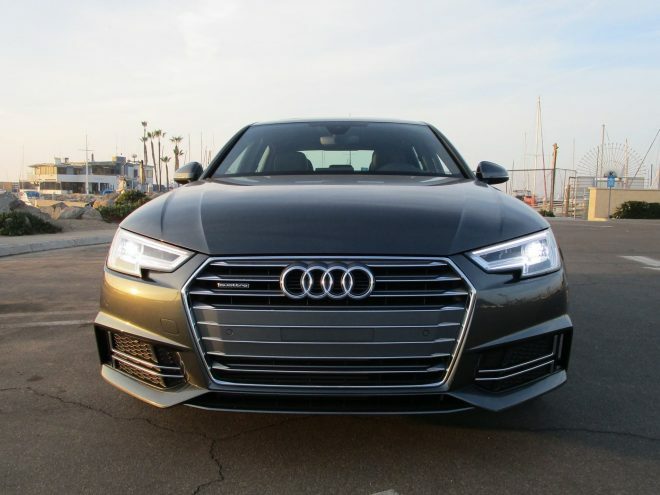 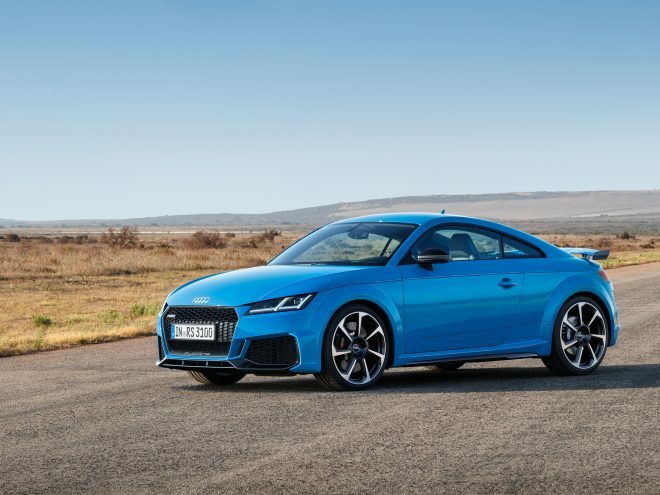 Designers redesigned the front grille, tail lights, and wheels. 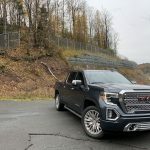 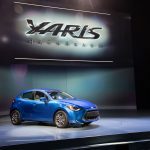 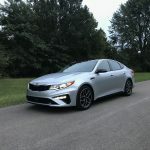 Having been in last years model and this 2019 model, we can attest that the changes are noticeable and appreciated. 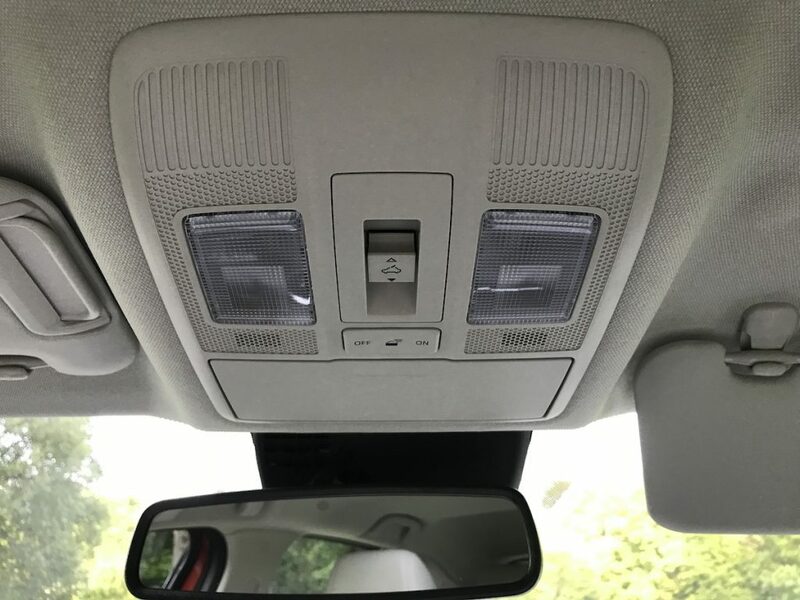 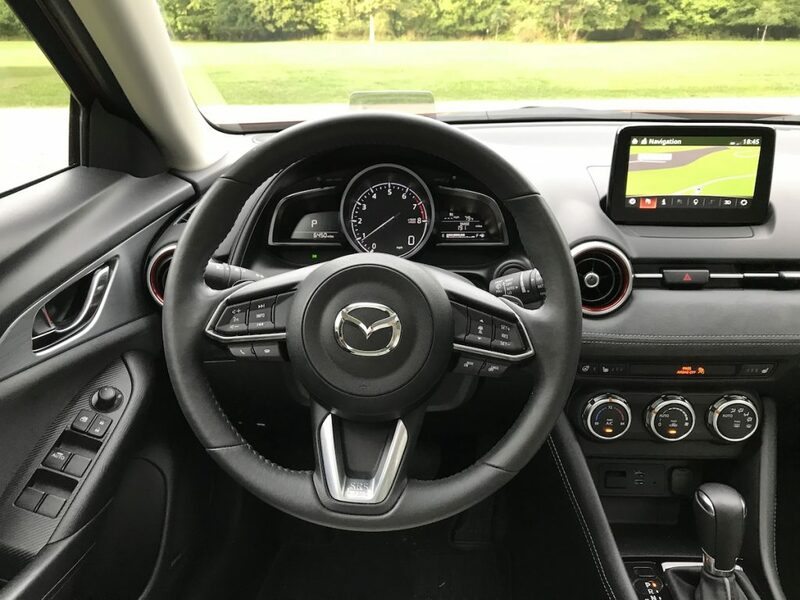 On the features end, the standard infotainment system features a 7-inch, full-color display that combines infotainment and diagnostic functions that can be controlled through voice command or the multi-function Commander control knob. 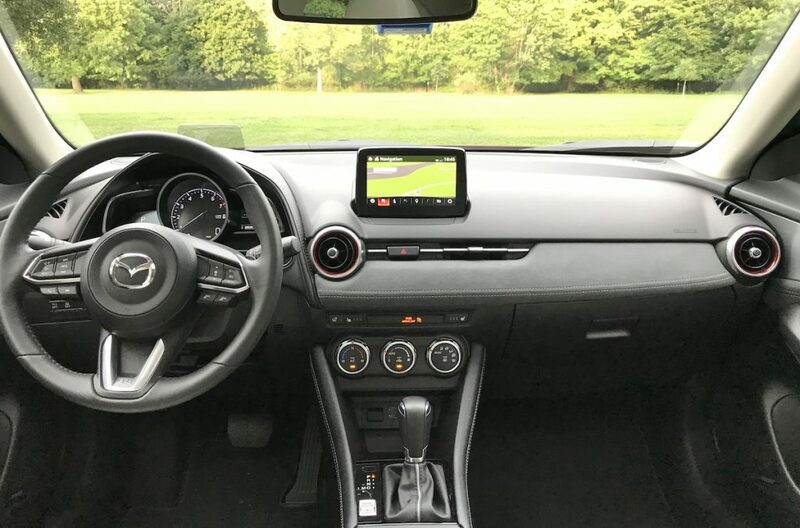 The Sport i-ACTIVSENSE Package adds Mazda’s full suite of safety technologies, including Advanced Smart City Brake Support with Pedestrian Detection, Smart Brake Support, Mazda Radar Cruise Control with Stop & Go function, Lane Departure Warning, High Beam Control, Adaptive Front-lighting System, Active Driving Display, rain-sensing windshield wipers, automatic climate control, automatic on/off LED headlights and LED combination tail lights. 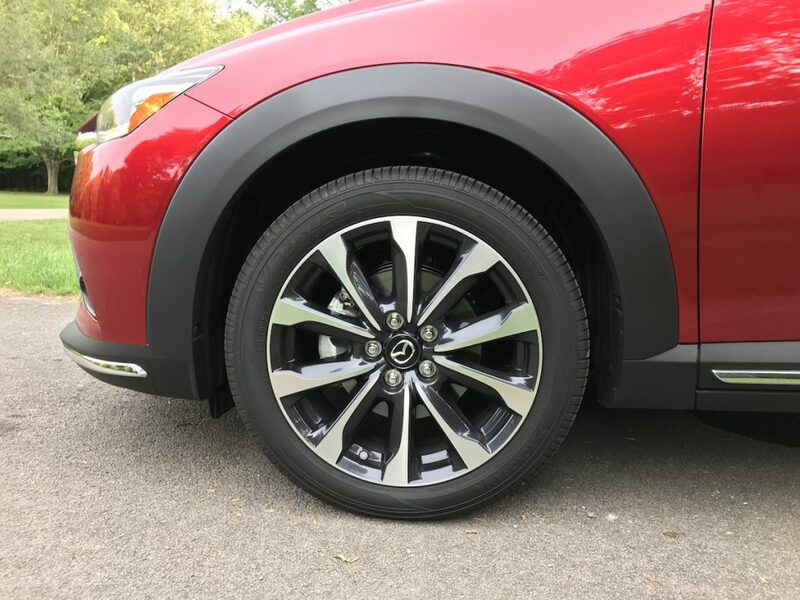 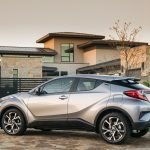 CX-3 Touring upgrades to 18-inch wheels and adds Mazda Advanced Keyless Entry, heated side mirrors, automatic on/off LED headlights, automatic climate control, rain-sensing wipers and new piano black pillar accents. 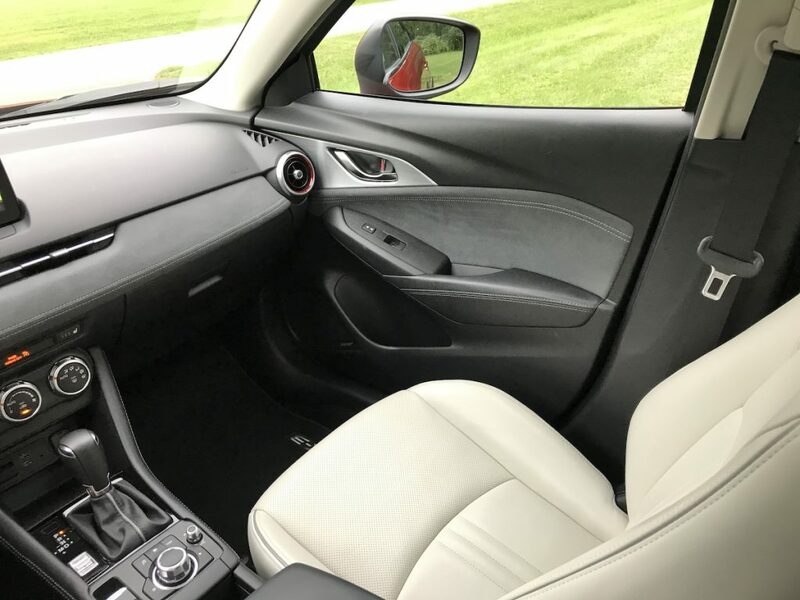 CX-3 Touring features black leatherette seating surfaces with three-level heating adjustment for the front seats. 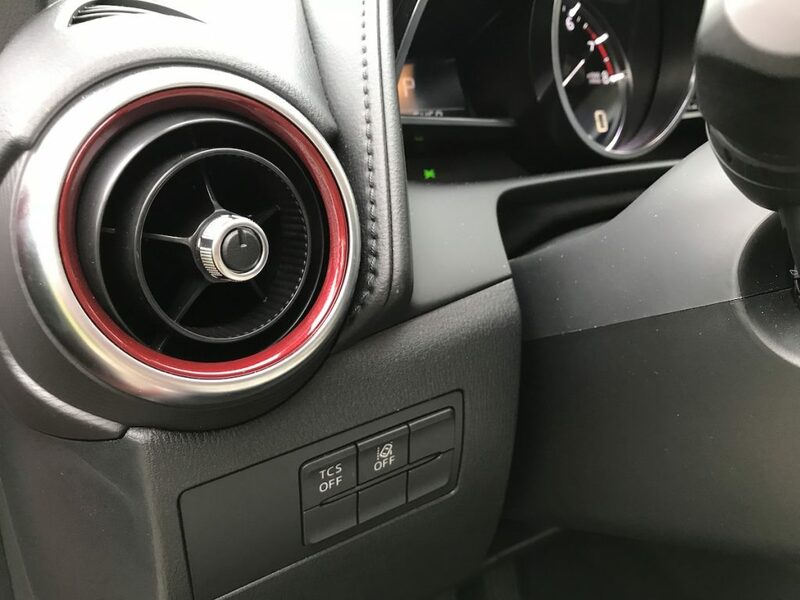 The driver is also treated to a leather shift knob and steering wheel, while the front passenger seat adds a new manual seat lifter. 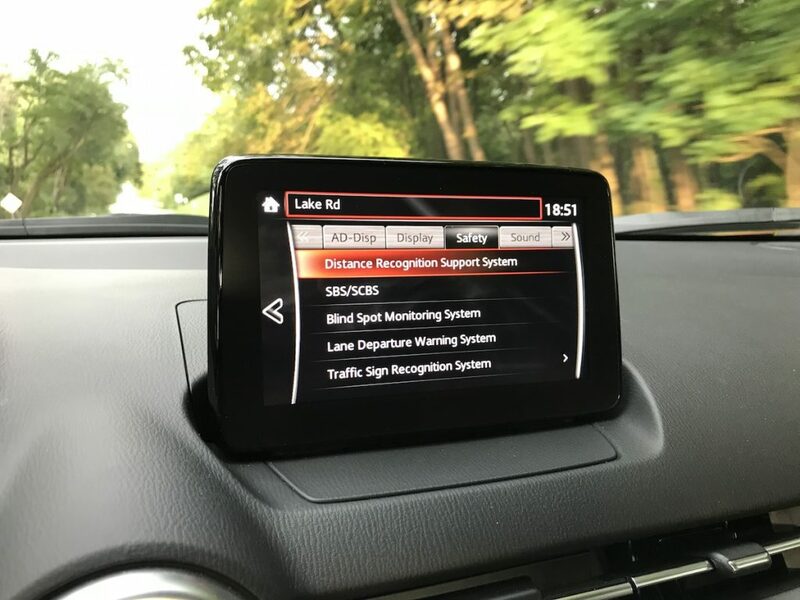 CX-3 Touring also receives a newly available Touring i-ACTIVSENSE Package. 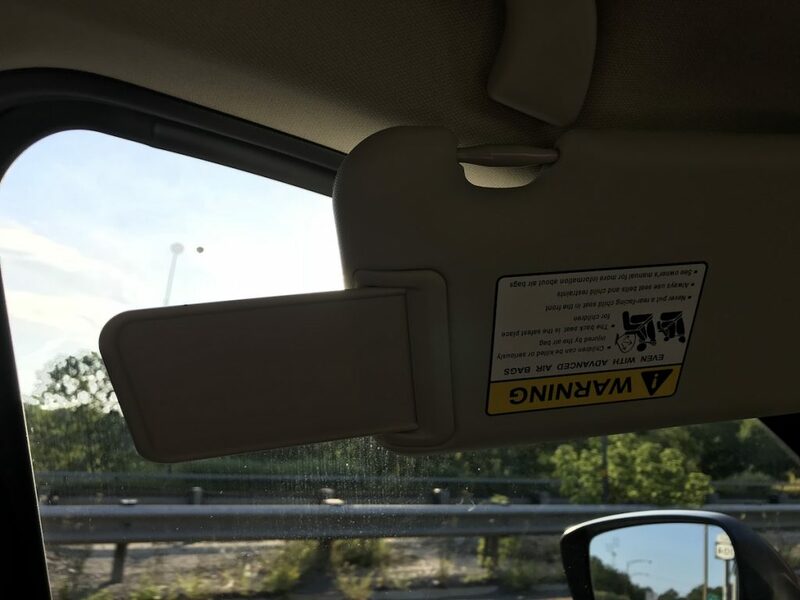 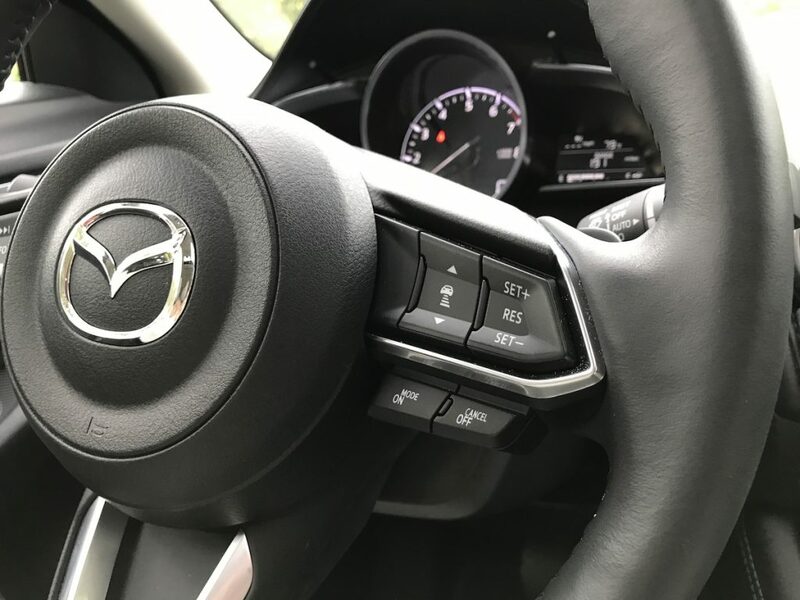 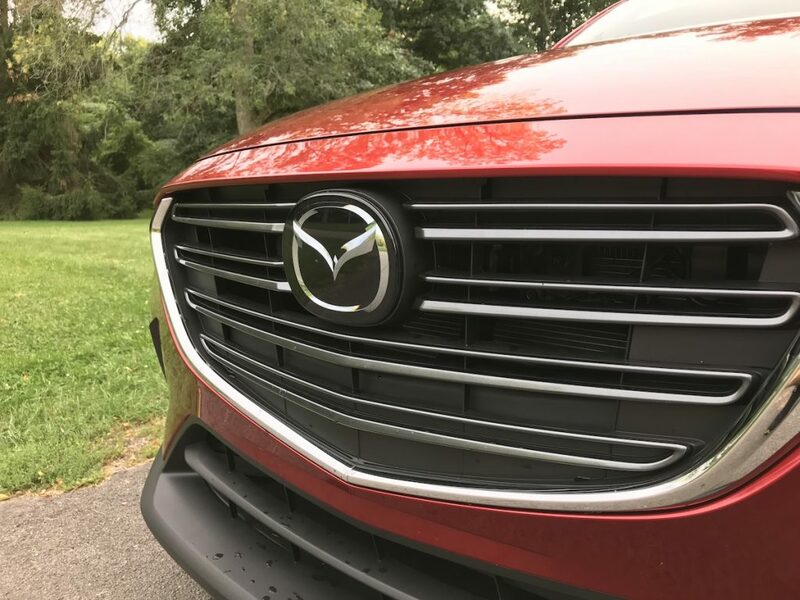 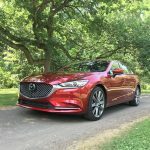 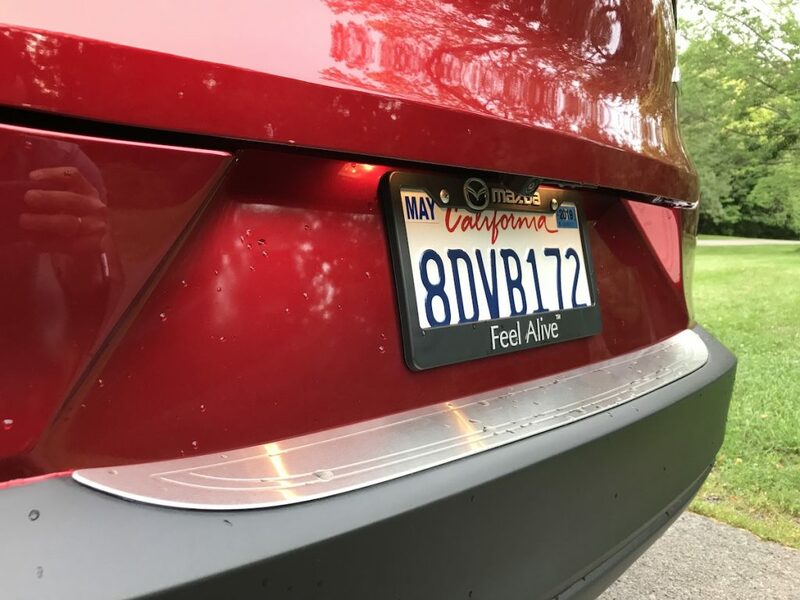 This package adds Mazda Radar Cruise Control with Stop & Go function, Lane Departure Warning, High Beam Control, Adaptive Front-lighting System, Active Driving Display, Advanced Smart City Brake Support with Pedestrian Detection, Smart Brake Support, LED headlights and LED combination tail lights. 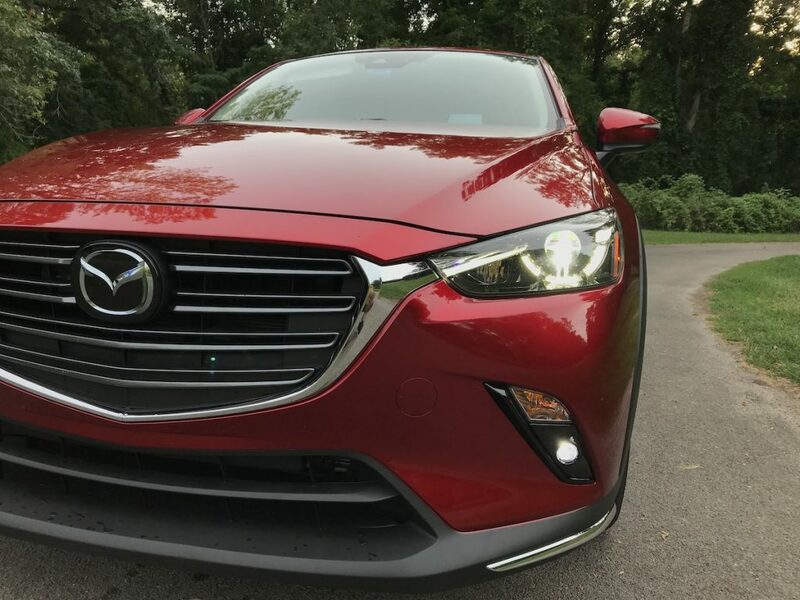 The radar cruise system performs admirably and brings the CX-3 to a complete stop in traffic. 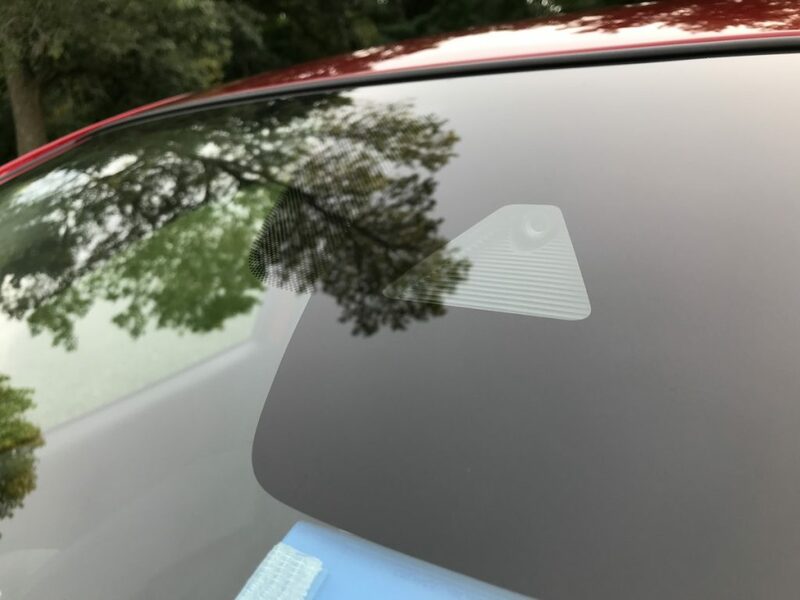 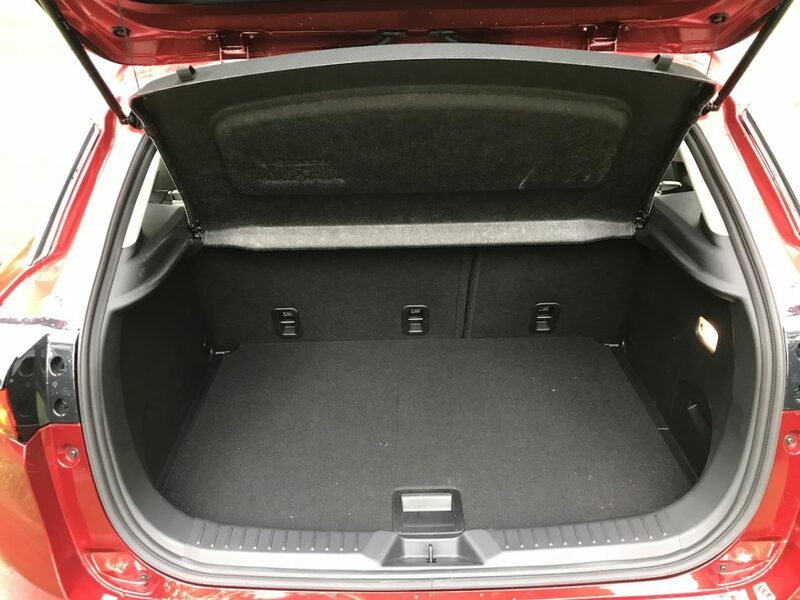 Also available is the Touring Preferred Equipment Package with BOSE 7-speaker premium sound system (highly recommend), power glass moonroof, SiriusXM satellite radio with a 4-month subscription, HD radio and a cargo cover. 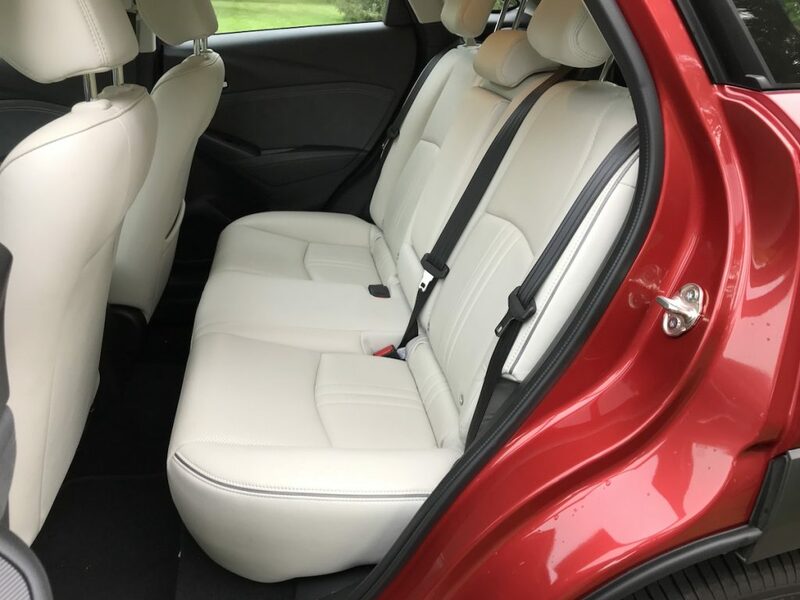 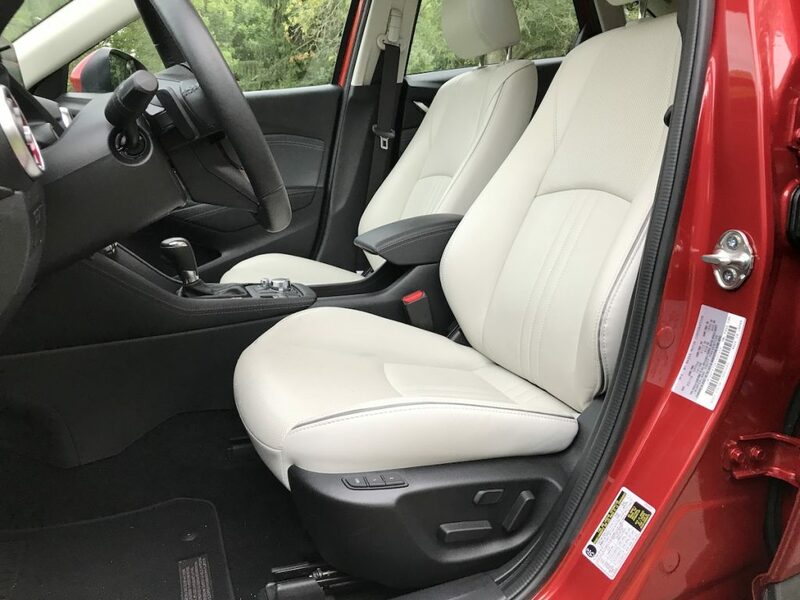 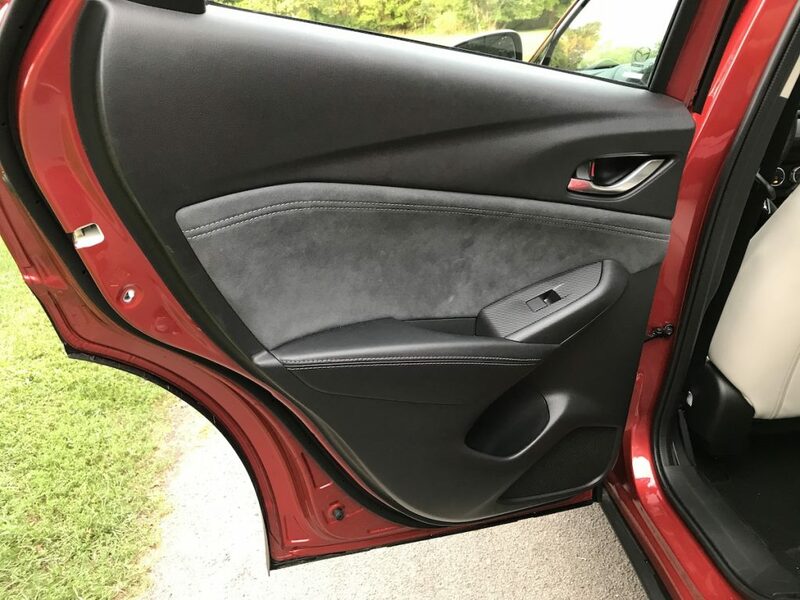 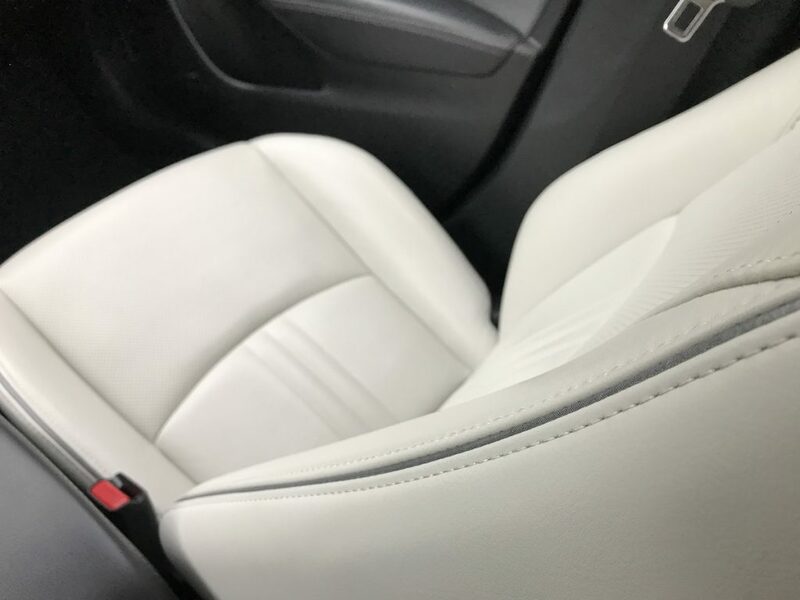 Our tester, the CX-3 Grand Touring builds upon the all the available CX-3 Touring standard and available features and includes Parchment full-leather seating surfaces with high-gloss, pleated piping. 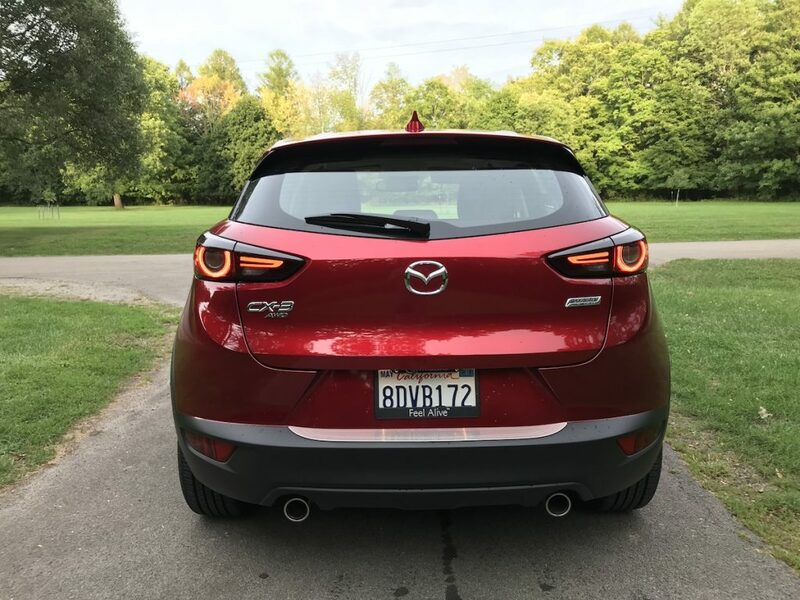 Chrome accents on the front bumper and side sills, as well as the design of the LED combination taillights, complement its upmarket appeal. 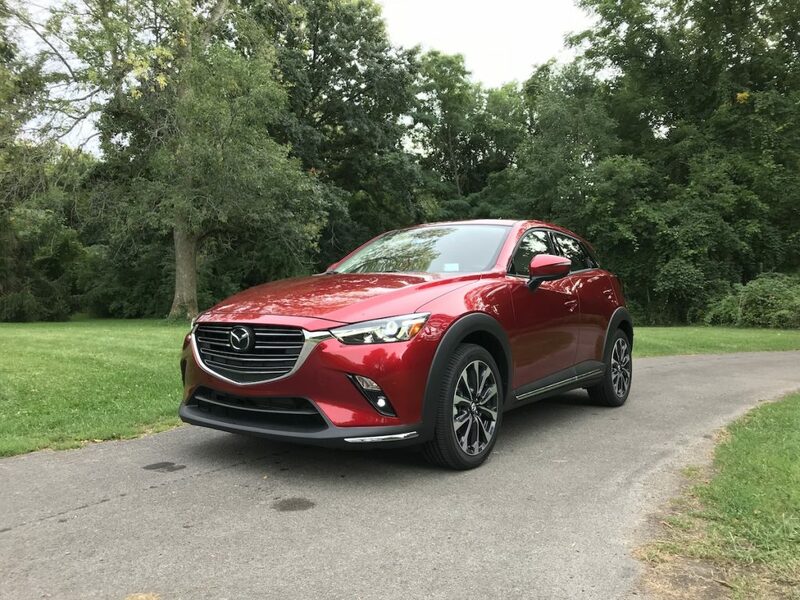 CX-3 Grand Touring comes with a full-color Active Driving Display head-up unit, power moonroof, adaptive LED headlights, LED fog lights, LED daytime running lights, Mazda Navigation and paddle shifters. 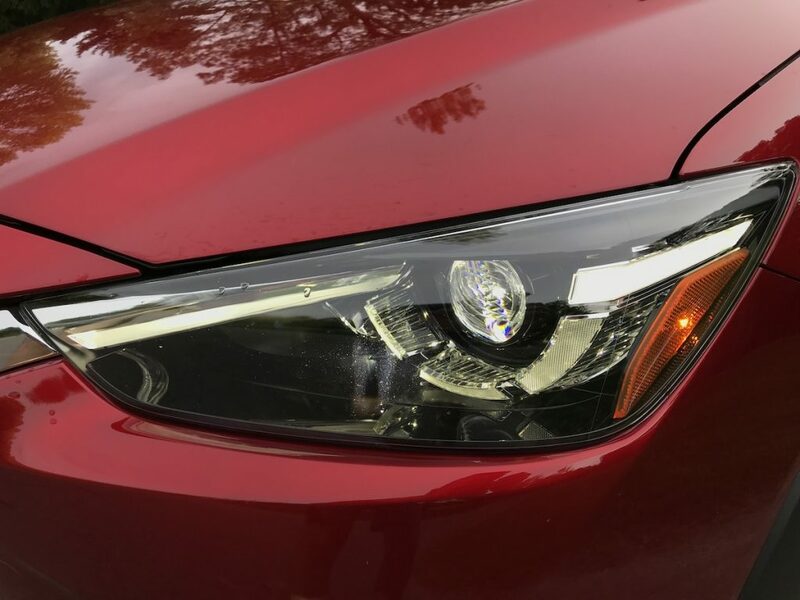 The LED headlights are incredible and flood the road ahead with light, and that the high beams are automatic is even better. 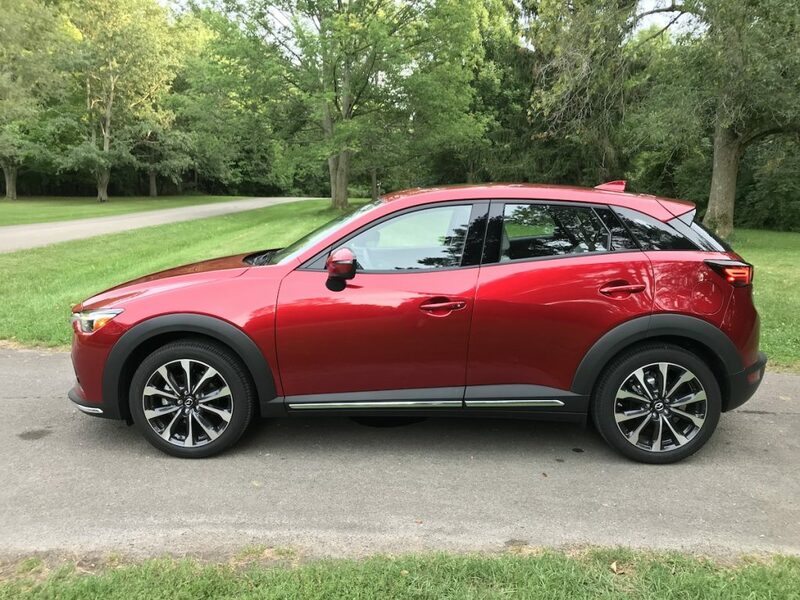 The Grand Touring Premium Package tops off CX-3 with 6-way power driver’s seat, power driver’s lumbar support, 2-position driver memory system, heated steering wheel, Traffic Sign Recognition and an auto-dimming rearview mirror. 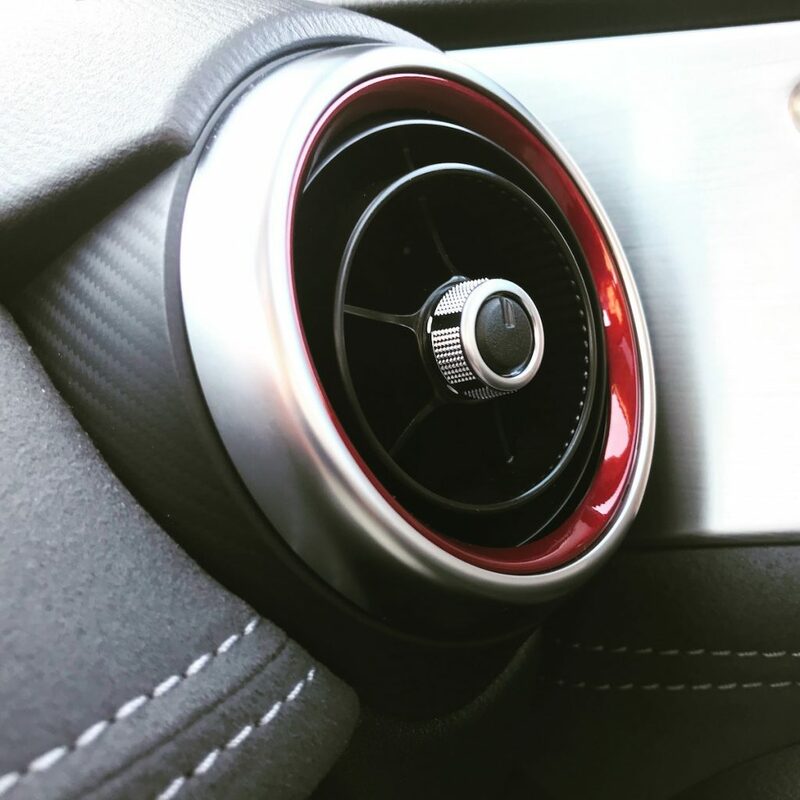 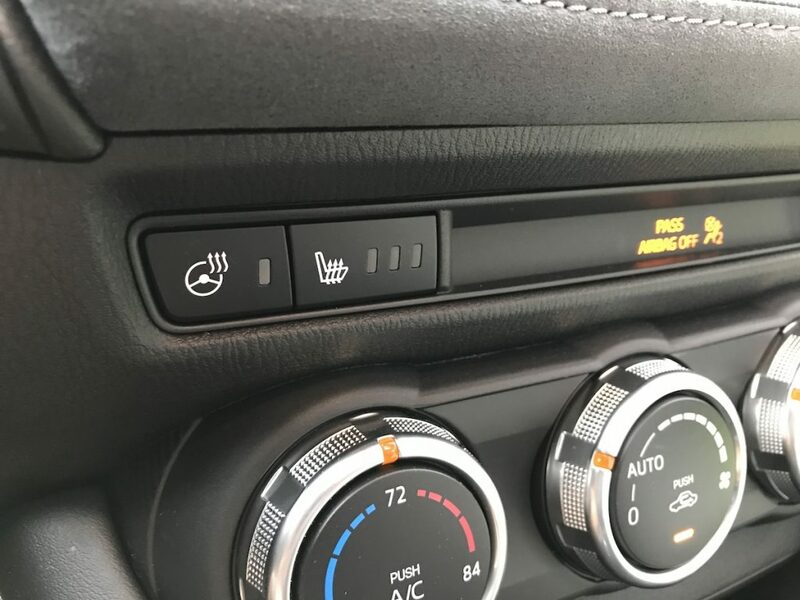 The heated steering wheel is great for cold winter weather. 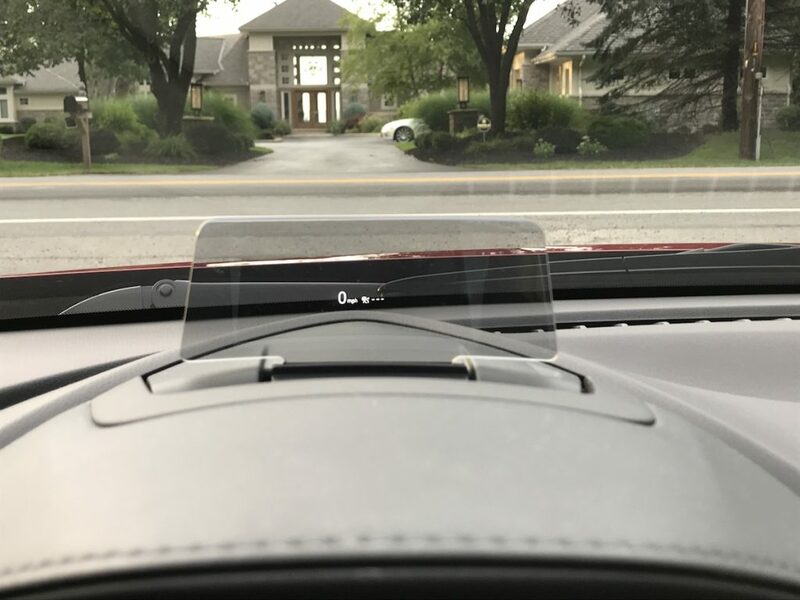 We’re also glad to report that CarPlay is here, perfecting the CX-3’s driving experience on a day-to-day basis. 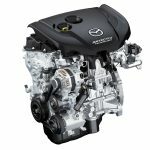 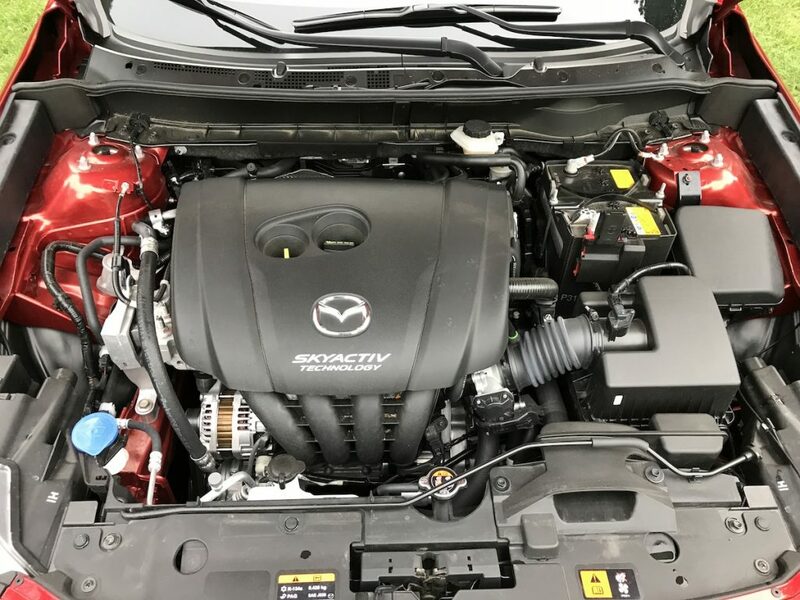 Under the hood, a SKYACTIV-G 2.0-liter engine, paired with a SKYACTIV-DRIVE six-speed automatic transmission with manual-shift and sport modes. 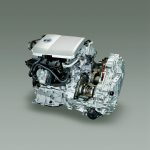 The engine has been retuned for refinement and efficiency. 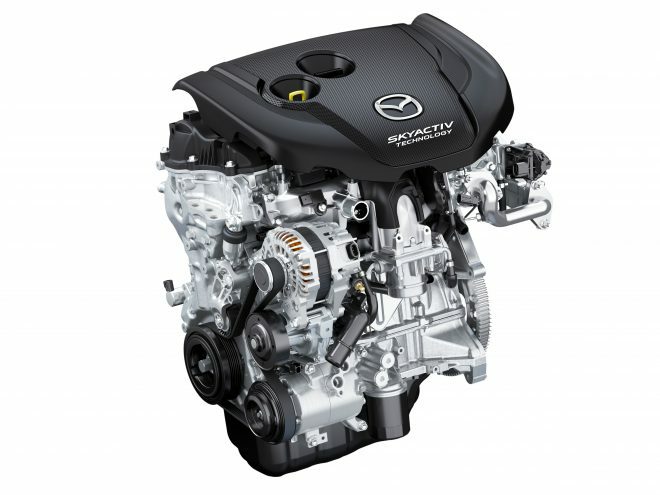 The engine delivers 148 horsepower and 146 lb-ft torque. 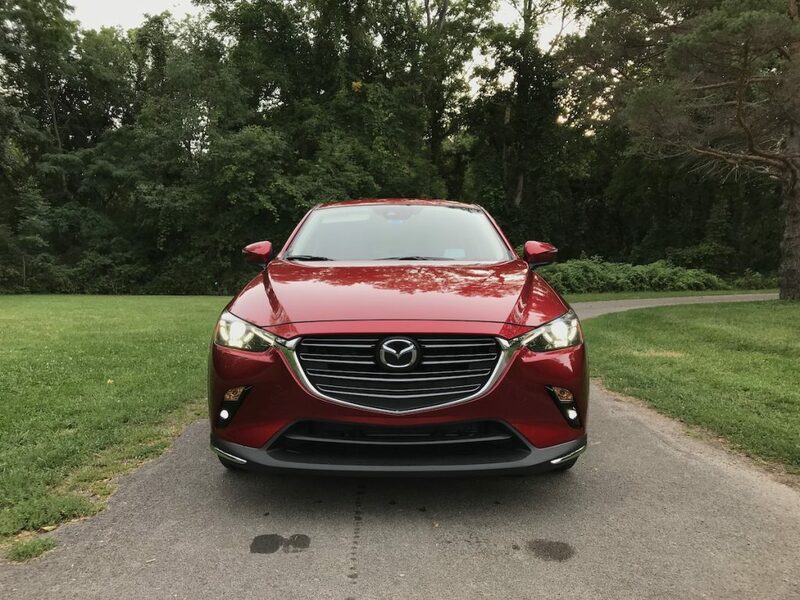 Front-wheel drive standard; Mazda’s predictive i-ACTIV all-wheel drive is available on every trim level (yes!). 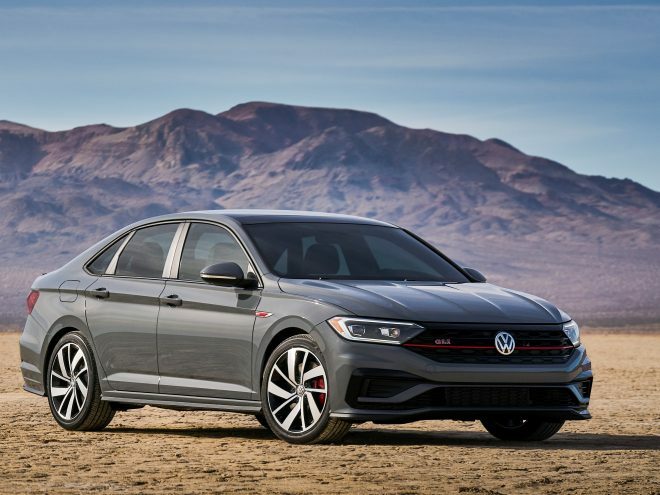 Along with standard G-Vectoring Control vehicle dynamics enhancements, a retuned suspension for both improved and sportier ride, and recalibrated power steering and chassis setups contribute to a smoother, quieter and more enjoyable driving experience. 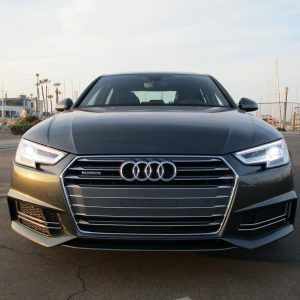 The ride is significantly smoother and more substantial feeling. 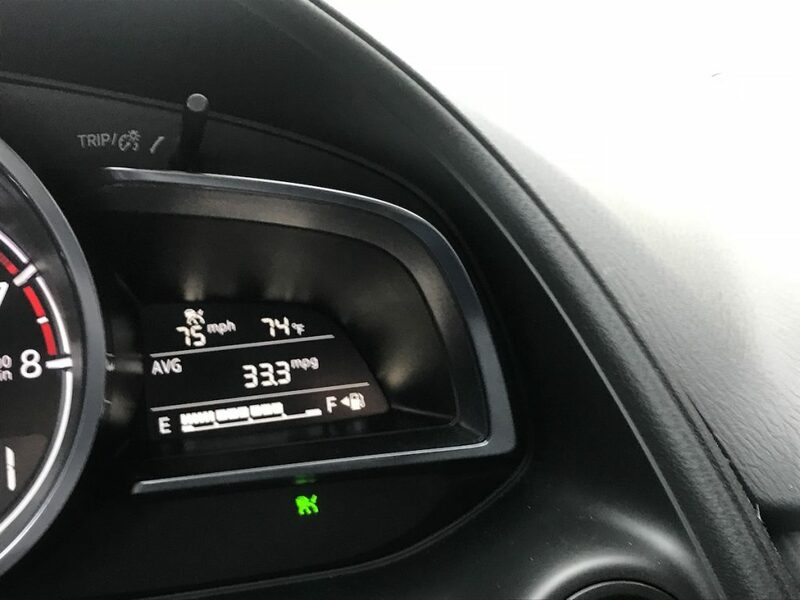 Fuel economy impressed us with an overall average of 33.3 mpg in mixed driving. 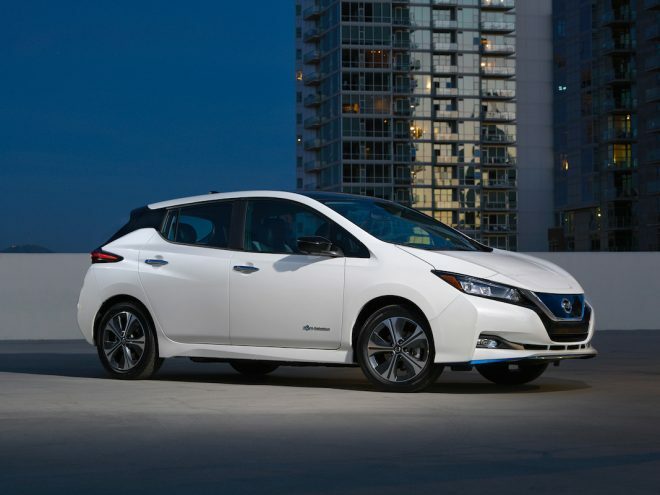 The EPA rates it at 27 mpg city, 32 highway, 29 combined.